We have been testing biostimulant materials for more than 14 years at J&D Produce, Inc., mainly to improve nutrient uptake in high pH soils. During this period and through several trials, we have identified a wide range of responses to build protocols that help under different circumstances in the field. In general, biostimulants can potentially help the plant with any stress it encounters. Take into account that the crop’s root system is the portion of the plant that is the most affected by stressors. And since the root system is the most important part of the plant, these negative effects have a considerable impact on the crop’s overall growth and performance. Weather and temperature fluctuation. The metabolism of each crop, and even varieties within the crop, all are affected by temperature extremes.For example, cucurbits reduce nutrient uptake at temperatures lower than 50°F. Soil fertility. High electrical conductivity limits water and nutrient uptake, reducing the yield potential of the variety grown. Biostimulants can help reduce this stress around the root area, allowing for increased uptake. Disease pressure. Soil diseases kill secondary roots, affecting nutrient and water uptake. Maintaining a healthy and abundant root system will reduce the effect of the disease all the way to harvest time. This effect also will provide valuable time for a specific fungicide to control the disease and help you avoid bigger losses. Drought or excessive moisture. Weather extremes, as we know, affect considerable root growth development. Therefore, maintaining a strong and active root system will allow the crop to survive during a short-term stress period. Every grower will have a specific time when his crop is going through stress. It is important to develop protocols for when the biostimulants should be applied to ensure plants are well prepared to deal with these conditions when they arise. The biostimulant’s effect will be handicapped or reduced if it is not applied early on, before the stress is present. That said, if you have a plan in place, you can expect some real benefits from using biostimulants. Improved fertilizer efficiency is one. Biostimulants will have a more positive benefit when applied at the start of the crop season, helping plants get the important minerals for good establishment and early root development. We have seen improvement in nutrient uptake on every crop evaluated, and it could reduce the amount of fertilizer required for the crop by the time it reaches harvest. We also see improved nutrient uptake, particularly phosphorus and calcium. Biostimulants can provide an important benefit with these two nutrients, improving the uptake of phosphorus for early root development and establishment, and better cell structure, shelf life, and overall product quality with increased calcium uptake. Stimulation of beneficial soil life is another benefit. Depending on the biostimulant and how active and broad its microbial formulation is, the product will have an impact on increasing microbial activity. Native bacteria could flourish also. This is an area that still requires more research to determine the effect on native macrobial strains under specific scenarios. The interaction with beneficial fungi such as Trichoderma is also an important area of research needed at this time. Biostimulants have also been shown to help with increased tolerance for disease and insect pressure. A plant with a strong root system will be able to stand external stresses better, as the growers say, in a healthy plant, less pest. This is especially true with disease infection, providing the grower with extra time between pest identification and the control application. It seems some biostimulants may be able to help in activating the plant’s autoimmune system, playing an important role. Salinity management is a significant benefit. Salts reduce the roots’ ability for water and nutrient uptake. Therefore, buffering the area close to the root system with humic acids and biostimulants will allow the plant to uptake minerals more readily. Another plus is pH buffering. Humic acids have been on the market for several years, helping growers improve soil conditions for better nutrient uptake. The addition of biostimulants that can use this stable, organic matter in the soil and interact with the root system will favor the opportunity for the plant to reach its full potential. We are seeing a number of benefits from our work with biostimulants at J&D Produce. One is a stabilized root buffer zone for nutrient uptake under adverse conditions to help the crop reach its full potential. Also, it is important to apply early in the season to obtain the most benefits. Increased uptake of phosphorus and calcium provide better shelf life. Another benefit we’re seeing is increased uniformity during development. When the seed germination is improved, a uniform growth throughout the season is expected. Early applications are important to achieve this. Finally, it is important that the biostimulants evaluated are able to provide a lasting effect to assure the interaction of the product with the root-soil system. We have been able to observe 30 days of effect on our protocol and its benefits. 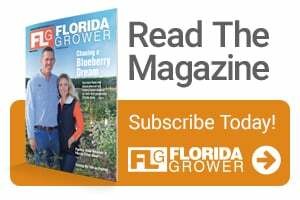 The lack of a regulatory framework surrounding biostimulants is certainly a disadvantage for growers trying to sort through all biostimulant products available. Hormones and plant growth regulators have this framework. It is important to have one here, too, due to the wide range of biostimulants in the market, which makes it difficult for the grower to identify the best product for their needs and test with reasonable success. Intensive agriculture requires us to be efficient in the use of resources to achieve maximum crop potential. Biostimulants are an important tool we have at our disposal as growers that could make our production system more efficient and reliable. My advice would be to test according to specific needs of your crops. Also, it is important to evaluate the cost per season and understand the benefits and the synergies we would see with your current fertilization and production system. And be patient. You can have success with these products if you use them in the right way and in the right situations. 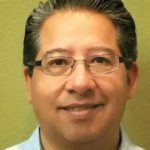 Dr. Carlos A. Lazcano is the Director R&D at J&D Produce, Inc. See all author stories here.